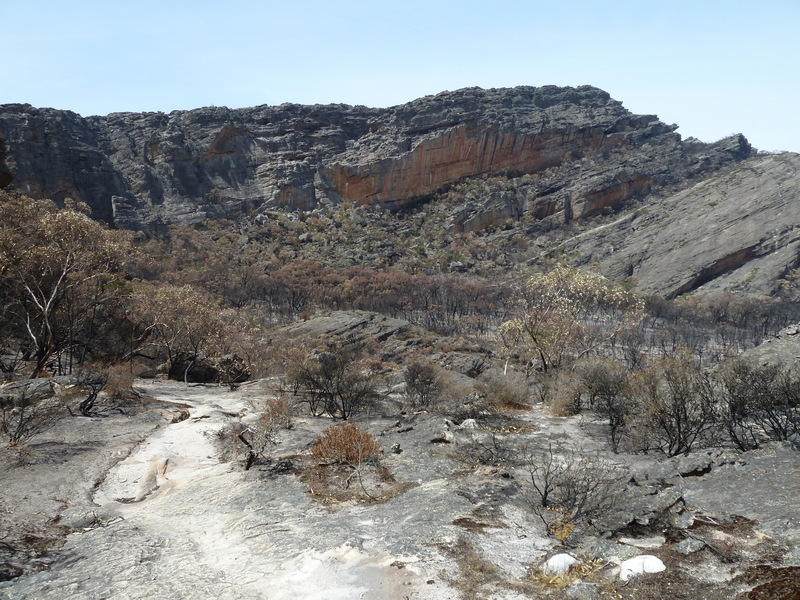 Northern Grampians reopenings update – Saturday 20th, September. With the September school holidays just around the corner – like this Saturday the 20th to be exact, the question on many people’s lips is – what is open for climbing in the Northern Grampians? Following many discussions, site visits, working bees, more discussion, assessments etc, I can confirm that this Saturday, the Stapylton area will be open for climbing. This includes the Amphitheatre, Green and Grey Walls, Epsilon Wall, Bellepheron on Flat Rock, Trackside and, and, and …..Taipan! This is only the beginning of the reopenings and while I am sure there are many out there that are not seeing the cliffs and bouldering areas they want open on this list as yet, it is important to understand that all the areas – including the ones that PV have decided to open for this coming weekend, are still recovering and have a long way to go before they are anywhere near a healthy, robust state. What PV are responding to is the fact that this part of the park is a critical piece of the climbing landscape and have taken on board that the majority of enquiries from recreational climbers/ boulderers be they local, domestic or international have centred around these areas. Many discussions, as I noted, have taken place between a variety of climbing reps, myself included. Our feedback has been taken on board. Recovery has been slow in all areas due to below average rainfall so decisions needed to be made around the areas that could best handle the visitor traffic as well as concentrating on a number of work projects (of which there are many). The work projects in the Stapylton area have been pushed to the front. I will put together a longer report that helps to explain to climbers the rationale behind why some areas are opened and others are not. Often it seems that as long as a track seems to be okay into an area then there should be no reason why it can’t be opened. This is so far from the reality of the situation – there really are a multitude of worm cans that start opening when discussing each area. But for now, I wanted to get this information out to the climbing community so that those who had planned their trip around a Stapylton/Taipan visit these September holidays could do so. I have had many enquiries. I will have some further information over the next few days and there will also be a Parks Victoria update on the situation out this Friday which will contain more info. Further reopenings will occur and I will keep you up to date as soon as they are confirmed. As I noted at the start of this report, the area is still fragile and requires care in using it. Going off track onto ground that has very little regrowth will further hamper nature’s efforts to recover. Stay on the tracks. There is a new one up to the Grey and Green walls area and some realignment on the Taipan track. Take care when you place your packs and gear on the ground. One of the hardest issues to deal with is toileting which generally requires you to head away from the cliff area. Visit the toilets in the carparks before heading up to the cliff, and obviously if you must go, choose your spot carefully. It won’t just be you trampling the sensitive ground. I really must thank all the team at the Grampians Parks Victoria office. They have been keen to push this along, understanding the needs of the climbing community whilst still having to deal with the environmental and cultural values of the park. They have praised the efforts of the diverse climbing community to pitch in and help out on the work days and of respecting the closures by staying out of closed areas to let them recover. As always I am happy to respond to any enquiries regarding the closures and reopenings. Stay tuned folks and enjoy the beautiful rock that the Stapylton Amphitheatre and Taipan have to offer. This entry was posted in Grampians, Parks Victoria updates & info, Volunteers and tagged Bushfires, cliffcare, closures, grampians, Northern Grampians, parks victoria, reopenings, victorian climbing club by Tracey. Bookmark the permalink.